Each week we will tell the story of believers being persecuted for their faith. Please include the people in this story, along with persecuted people around the world, in your prayers. Pastor Raymond Koh disappeared on 13 February 2017 when his car was forced to stop and he was abducted in broad daylight by masked men. On 3 April this year, the Human Rights Commission of Malaysia released findings that placed blame for the attack on the Special Branch of the state police. The disappearance of Pastor Koh is not the only such incident. On 24 November 2016, Amri Che Mat was grabbed under almost identical circumstances. He also has never been found. Amri was a Shiite activist, a branch of Islam which has been banned in Malaysia. The commission’s report states that religious activities were the reason behind both attacks. A gold coloured Toyota Vios, owned by Special Branch officer Saiful Bahari, was spotted at the scene of both attacks, Bahari has since disappeared. The commission has stated that it may yet open an investigation into other unresolved disappearances, including that of Joshua and Ruth Hilmi, Christian evangelists who went missing in late November 2016. Pastor Koh’s family, along with others, continue to push for answers. Pastor Koh’s wife, Susanna, intends to give the Special Branch six months to provide answers or she may take legal action. “This is the beginning of our fight for religious freedom and human rights,” she told the press after hearing the ruling. Some suspect that investigations may not begin until the national police chief, Mohamad Fuzi Harun, officially retires. Pray for God’s leading as Susanna and others determine their next steps. Pray also that they will be comforted in their grief. 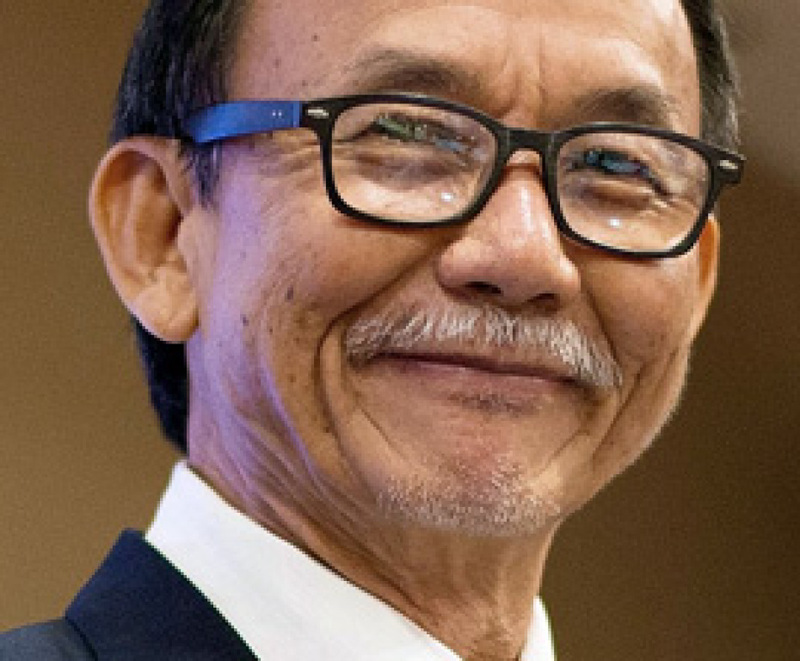 If Pastor Koh and the other abducted Malaysians are alive, ask the Lord to sustain and protect them. Pray that the government will act upon the recommendation of the commission by enacting freedom of religion as a human right. Hope awakens in northern Iraq as another church is built with the support of the government. The Kurdistan Regional Government (KRG) supervised the construction of the first Armenian Orthodox Church in Erbil through their department of religious affairs. The Kurdistan region of northern Iraq was a hotbed of ISIS activity and violence in recent years. Church buildings were burned, women and children were kidnapped, and many were murdered because of their faith. Christians are beginning to return to their homes in northern Iraq now that ISIS has been driven out. The construction of this church gives hope to many Christians returning home that a new day is dawning for Christians in Iraq. Praise God for this new development. Ask that the church may be a light to the community as its members reach out to those in need and to those who are seeking. Pray for those who are returning home after years of displacement. Pray that families will be reunited, homes and communities will be re-built and people will be provided with stability. Pray for the authorities as they help to support the establishment of communities, ask the Lord to grant them wisdom and much needed provision. A VOM partner ministry worked with 144 evangelists in Niger last year, providing discipleship training and opportunities to help them support themselves. The evangelists then visited communities throughout the country, sharing the Gospel and teaching people about Jesus. As those hearing the Gospel began to place their faith in Christ, some were threatened or expelled from their families. One Christian worker, however, said the persecution also had a positive effect. “Persecution became fertilizer for the spread of the Gospel,” he said. In places where there was strong persecution, the evangelists observed more eagerness among the new believers to apply biblical principles to their lives. In some places, their dedication even made communities more accepting of Christians. “Extending discipleship to the persecuted will bring about a stronger church,” the Christian worker said. Thank the Lord for working through these courageous believers. Pray that God will multiply their efforts. Thank Him for turning opposition, difficulties and suffering into light and spiritual life. Pray for the growth and spiritual maturity of new believers. When five people died within a week in a small Nepalese village in January, the only Christian family in the Hindu village was blamed for the deaths. Gianprakash and his family were asked to leave the village because they were following a foreign God. One night, six young men came to Gianprakash’s home, shouting and trying to break down the door. When Gianprakash asked them why they were disturbing his family, one of the young men said, “We know the death spirit is here, and that’s why five people are dead!” Before leaving, they broke the home’s water cistern. Gianprakash and his family have temporarily moved to another city. Ask our Lord, the great encourager and provider to minister to this family. Pray the Lord will surround the family with love and support of fellow believers. Pray for the outpouring of the Holy Spirit on the village. May many of the villagers come to know the living Christ and put their hope in Him. There’s been a sharp rise in attacks on Christians in India so far this year – and many fear that things could get worse with a general election on the horizon. There were 77 recorded incidents of hatred and violence against Christians in the first two months of 2019. This is up from 49 cases over the same period last year, according to the Religious Liberty Commission of the Evangelical Fellowship of India (RLC-EFI). This tally includes two murders by Maoist militants last month, one in Odisha and one in Chhattisgarh. Christians fear that violence may increase now that elections have been scheduled to start on 11 April. In many instances, Christians are being persecuted by those who should be protecting their rights. In Tamil Nadu, police have reportedly joined with Hindus going door-to-door telling Christians not to meet for worship. In Uttar Pradesh, Pastor Sindhu Bharti was beaten unconscious by police after they arrested her and five other church members during a Sunday service. All six Christians were charged with intent to offend religious feelings, defiling a place of worship and rioting. The RLC-EFI documented 325 incidents against Christians in India last year – with 40% of attacks happening in Uttar Pradesh. Please pray for peace and protection for God’s people in India. Pray that God will renew in them a steadfast spirit (Psalm 51:10). Pray that the new government elected will take firm action to uphold religious freedom for all India’s citizens. Thank God for the overcoming faith of our Christian family in India. Many churches continue to spread the Gospel despite warnings and threats. Pray that God’s word will touch the hearts of the persecutors. On 19 February 2018, at 5:30pm, Boko Haram entered the town of Dapchi, Nigeria, wearing military uniforms and driving trucks mounted with machine guns. They approached the Government Girls’ Science and Technical College (GGSTC) and ordered 110 schoolgirls to enter their trucks. They then disappeared with the girls for more than a month. The released girls told their families of Leah’s courage and faith in the face of almost certain death. Prior to returning the abducted girls, the terrorists pulled Leah aside and told her that she would not be allowed to go home unless she recanted her faith. She refused. She told the terrorists that she could not deny Christ. After being held for nearly eight months, Leah again made headlines. On 27 August the terrorist group released a proof of life video of Leah. In the video, she pleads for the government to help her and her family. Then, on 17 September, Boko Haram killed an aid worker from the Red Cross named Saifura Khorsa. During the execution, the militants said that they would kill another three victims including Leah, if the Nigerian government did not pay ransom. One month later, on 16 October, Boko Haram executed another worker named Hauwa Liman. After her execution, Boko Haram declared that they were going to keep Leah as a “slave for life” because the government had not paid a ransom for her. Since then, there has been little to no communication about Leah from the Buhari administration or Boko Haram. Join with Leah’s family and Christians all over the world to intercede for Leah and plead for her release. Remember the many other captives held by Boko Haram. Ask the Lord to use Leah’s powerful testimony for the encouragement of believers in Nigeria. Pray it may be used to extend His kingdom. Pray for Leah’s captives, that they may face fierce condemnation from their own consciences. Ask the Lord to pour a new Spirit into them. Pray their hearts of stone may become hearts of flesh, by the work of the Holy Spirit. Authorities in a Buddhist village recently established a law forbidding Buddhists from hiring Christians for work and from renting or selling anything to Christians. As a result, believers in the village are unable to buy food. When a Buddhist vendor sold a banana to a Christian recently, he was detained for three days and fined the equivalent of $90. The man later decided to become a Christian, asking another believer to teach him the Bible and baptize him, because he saw that the Buddhists were wrong. Thank the Lord for bringing blessing from suffering and pray that this man grows and stands firm in his faith despite the persecution he will likely face. Pray that all believers in the village will love those who persecute them and inspire other Buddhists to learn more about Jesus. Pray for VOM’s efforts to provide these believers with food. was for Asia Bibi who is a Christian in Pakistan. water container used buy muslim workers and they had her arrested and accused. the Supreme Court of Pakistan where she was found guilty and sentenced to death. took up her case were assassinated. ordering her immediate release from prison, but Asia Bibi remains in prison. violent protests led by the popular and influential Tehreek-e-Labaik Pakistan (TLP) party. who wish to see her hang. that it will not object to an appeal against Asia Bibi’s release. solitary confinement in Pakistan, free in name only. protection. Also that Asia will be released and allowed to leave Pakistan quickly. Javid who said she should be given refuge. asylum to her, but Australia has stepped in and will offer it if Canada does not. Christian organizations in Indonesia have raised concerns about a new religious education bill that would require government permits before conducting any classes, including Sunday school, catechism or Bible classes. On Wednesday 31 October 2018, more than four years after agreeing to hear her appeal, Pakistan’s Supreme Court overturned Asia’s conviction, ordering her immediate release from prison. Voice of the Martyrs staff and supporters were overjoyed, thanking God for the release of our sister Asia. We were sorry to hear, within 48 hours of that acquittal, that despite the Supreme Court ruling, Asia Bibi remains in prison. The Supreme Court’s decision to overturn Asia Bibi’s conviction has sparked violent protests led by the popular and influential Tehreek-e-Labaik Pakistan (TLP) party. What awaits Asia Bibi in Pakistan is almost certain death at the hands of angry mobs who wish to see her hang. In an effort to quell these violent protests, the Pakistani government reached an agreement whereby it will impose a travel ban upon Asia Bibi, effectively preventing her from leaving Pakistan and finding a safe haven. In exchange, the TLP will call for an end to the violent protests. As part of the agreement, the Pakistani government has agreed that it will not object to an appeal against Asia Bibi’s release. According to her lawyer, Saif-ul-Malook, Asia Bibi is likely to remain in prison or solitary confinement in Pakistan, free in name only. Please keep praying for Asia, her family, her lawyer and for the Christians of Pakistan. Pray for a powerful move of the Holy Spirit across this country. Pray that the Lord will uphold and keep Asia safe at this crucial time.